Flutur was started in December 2017, with an aim to create a multitude of innovative mobile and web products that the public can use for free. These products raise money, which they aim to give to heroes like you, who’re working to uplift the society. A single user of their first product, Flutur New Tab can raise money in a day enough to plant a tree, with zero effort from your side. 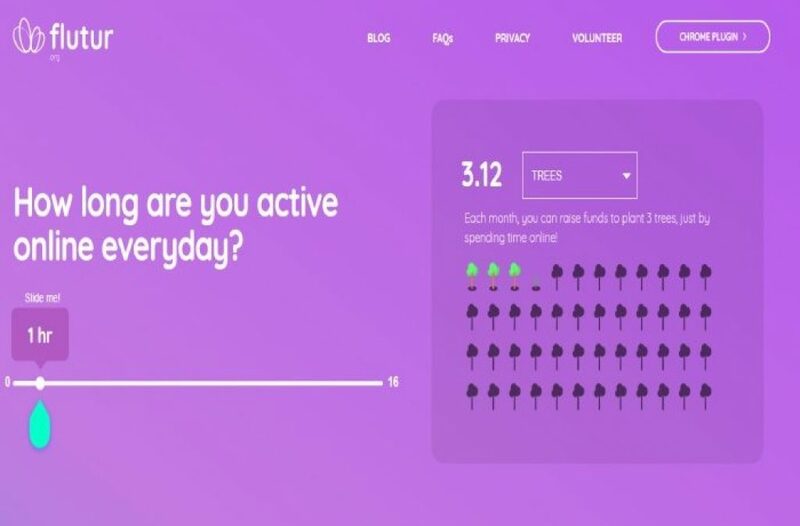 They will soon be reaching a 1000 users using the app and, by extension, you would collectively be able to raise funds every single day to plant a forest of 1000 trees! To further assert the potential of such technology, their current version has received 100% organic growth from all over the world with over 40% of their users based outside of India i.e. from USA, Australia, Canada, Norway etc. What Problem does Flutur Solve? Flutur, (translates to ‘Butterfly’) was inspired by the ‘The Butterfly Effect’ – which they understand to be: tiny changes can have a huge impact on the society. There are several people in today’s world who want some way to give back to society. Some want to save the animals on the streets, some want to help women set up businesses in the smallest villages of India, some want to help get every part of rural India access to clean water and even electricity. The problem lies in the busy schedules of today’s youth. Working 8-10 hours every day, and sometimes over weekends, leaves very little time or energy for working professionals to spend volunteering or doing something good. The time which you have to unwind, which could have been dedicated to volunteering, is usually spent trying to recuperate from each week’s stresses. Sustainable donation habits are also hard to build because of money constraints and the lack of time. and yet will be able to continuously raise funds for the sect of society which they want to help. And hence Flutur was born. Flutur was established by 3 individuals who strongly believe that even the tiniest act of kindness by a single person has the potential to create a colossal, cascading impact further down in the timeline of all mankind. Flutur’s team includes alumni of the IITs and Stanford University. Mallika, Rahul and Joel have been working together since their time at the startup Tinystep, since 2015. Being working professionals who couldn’t find time to give back to society, they decided to build products that’ll allow people like them to be able to donate without actually spending time or money.